Discover a Bangkok hotel ideally located for business or leisure travellers. 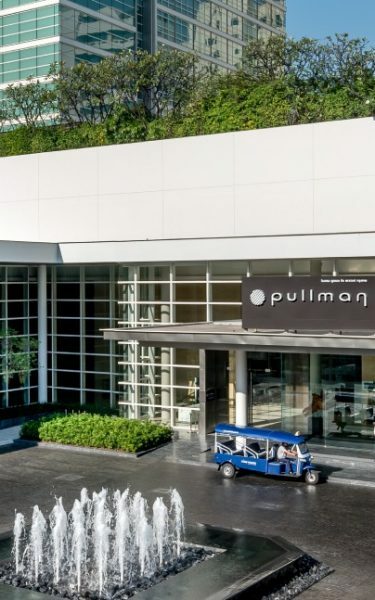 Pullman Bangkok King Power allows guests to unwind in a truly ‘resort in the city’ setting like no other. 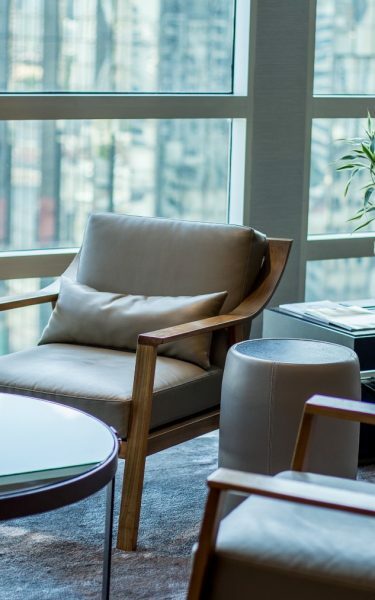 Immerse yourself in our playground and be fully connected throughout the hotel lobby; called “The Junction at Pullman”, it offers guests a co-working space to keep you in touch with the outside world, making Pullman perfect for global nomads. Located in the centre of the hotel, guests can step into the sublime blend of art and charm complete with a beautiful view of the hotel’s lush botanical garden. Featuring 354 unique rooms equipped with the latest technology and offering incomparable service, 5 restaurants & bars, 20 meeting venues, including 2 ballrooms and a 27-metre infinity pool, Pullman Bangkok King Power is a Bangkok hotel like no other. Decorated in a stunning modern contemporary Asian style, all rooms offer a spacious and comfortable Pullman bed with complimentary Wi-Fi Internet and are fitted with the latest technology to support the cutting-edge lifestyle of today’s nomadic business and leisure travellers. The exclusive bathroom amenities from C.O Bigelow help stimulate and re-energize your body before going out to discover all that Bangkok has to offer. With a traditional welcoming Thai atmosphere, the 4th level of the imposing Glass Tower is a full floor dedicated to wellness. It provides a tranquil place where you can rejuvenate your body and soul, and is a veritable haven of peace for today’s sophisticated traveller. Le Spa features 8 private treatment rooms offering a wide variety of luxurious body treatments and additional services, including hair and nail styling. Our Bangkok hotel gives global nomads the possibility to exercise using cutting-edge fitness equipment that will satisfy the needs of all health aficionados. The spectacular infinity pool is surrounded by a lush green tropical garden with our comfortable deckchairs invite you to take a nap under a parasol beside the pool, where you can experience deep relaxation whilst taking in the serene and peaceful view of the botanical garden, or guests can refresh themselves with a cold drink, light snack or ice cream at the Pool Bar. From breakfast to dinner, experience award-winning trendsetting bars and restaurants throughout the hotel. The restaurants feature an amazing range of cuisine from the around the world as Executive Chef Dominique Ferchaud and his team do their utmost to offer a perfect culinary experience in our Bangkok hotel. Cuisine Unplugged offering guests an all-day dining experience with a wide range of lunch and dinner buffet promotions which focus on freshness, quality and organically-sourced produce. Glen Bar, a truly unique bar experience in an intimate modern Thai-design setting with creative and inspiring Thai cuisine and drinks by our mixologists as you chill out with great live bands and DJs. The Junction at Pullman is a co-working space, offering spacious and active atmosphere for work and play which is ideal for business meetings or even a casual gathering with friends serving signature drinks and snacks from day to night time. Tenshino a chic innovative Japanese restaurant in Bangkok that serves unique Japanese cuisine with bohemian touch located on the 2nd floor. 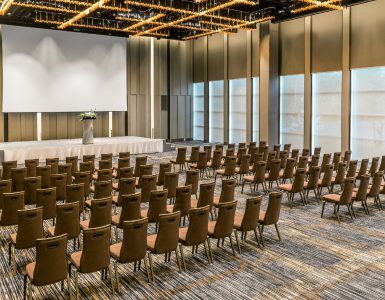 This Bangkok hotel serves as the leading venue for your next Bangkok meeting and event, whether it be for leisure, corporate conferences or functions. The venue is one of the most convenient to access in the city, being within easy reach of the Airport Rail Link and only moments away from Victory Monument BTS Skytrain Station, which is serviced by our complimentary Tuk-Tuk shuttle to and from the hotel.